Denise Cooper of Be My Guest With Denise showcases how to create a stand out front porch for Christmas with a DIY oversized Christmas door wreath! Read the blog to find out more. Happy holidays everyone! I’ve partnered with The Home Depot to participate in the Holiday Style Challenge 2018, and I will be sharing a few Christmas decor styling ideas. Our front porch is one my favorite spaces to spruce up each season. 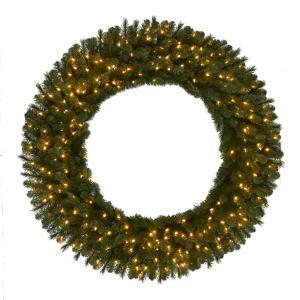 For the holiday season this year, I created a traffic stopping porch with a DIY oversized Christmas door wreath. Here’s what our front entry looks like on a regular day, clean and simple. We started with a 60 inch wreath and used 14 inch bolt cutters to cut the wreath in half. 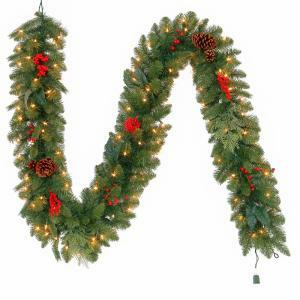 After fluffing and shaping my wreath, I added this Martha Stewart Living 9 ft. Pre-Lit Artificial Winslow Fir Christmas Garland. 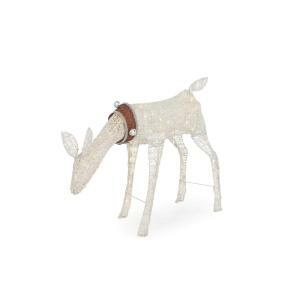 I wove this Snowtop Dazzle Decorative Ribbon between the branches for another touch of holiday charm. It has a silver wired edge that is helpful for shaping the ribbon to your desire. The Home Depot has so many choices and varieties of Christmas ornaments. I’m loving the pops of red this year, so I put one of these 3-piece shatterproof hanging bells on each half of the wreath. 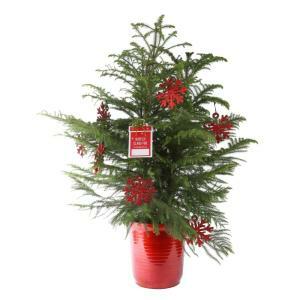 I added this Norfolk Island Pine easy-care houseplant tree to the entryway. 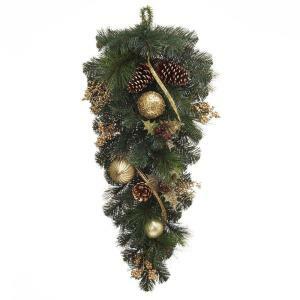 This greenery is festive for the holidays yet enjoyable year round. 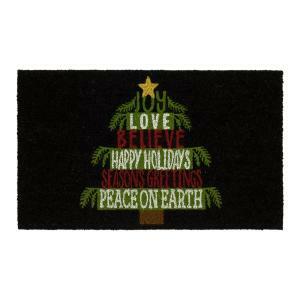 Layering two door mats created an extra warm welcome. Our daily mat got put away in exchange for this festive Holiday Tree Words 18 in. x 30 in. Coir Door Mat. The Home Depot has so many door mats to choose from. Head on over to my YouTube channel to see the DIY oversized Christmas door wreath tutorial and tour. Enjoy! 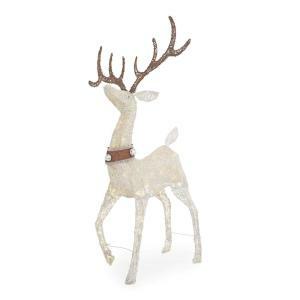 Read through The Home Depot Blog for more holiday inspiration, and decor ideas.